Add buttercream icing and enjoy! Have you noticed lately that Christmas is just around the corner? And leading up to Christmas we are always looking for something quick and easy to make for our family and friends, something to take when we are visiting or something just to have with a cup of tea at days end. Not only does it have to be quick and easy but it has to taste good too. 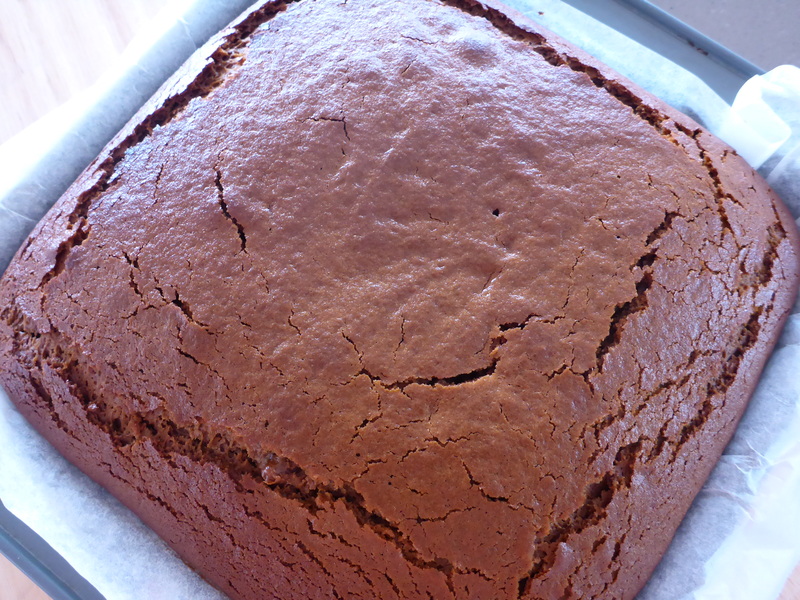 So today I’m going to share a quick and easy gingerbread cake. Gingerbread always makes my think of Christmas so I thought what better time to get all of you to give it a go. Enjoy and have fun decorating it for Christmas or just eating it with some cream or ice cream (or both). A little cream and ice cream and you have a great dessert. Pre-heat oven to 180 degrees Celsius. 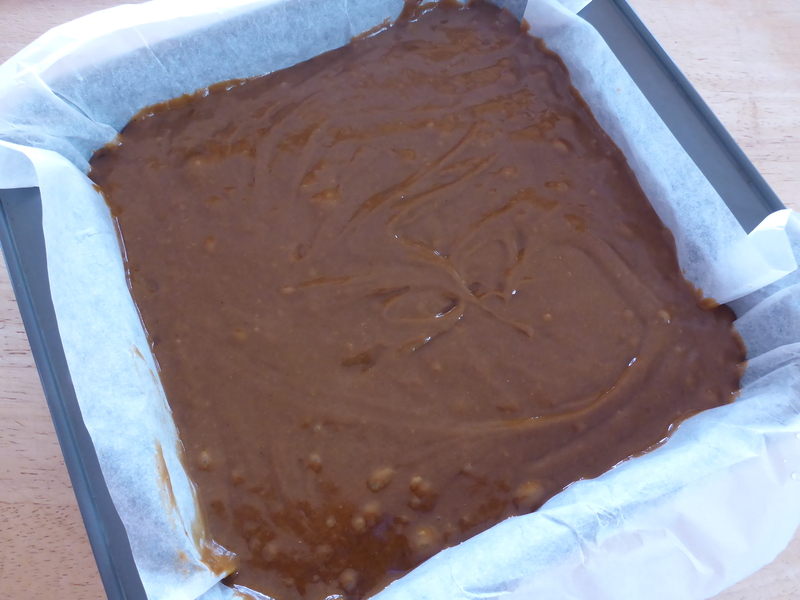 Line a 20cm x 20cm square cake pan with baking paper and set aside. 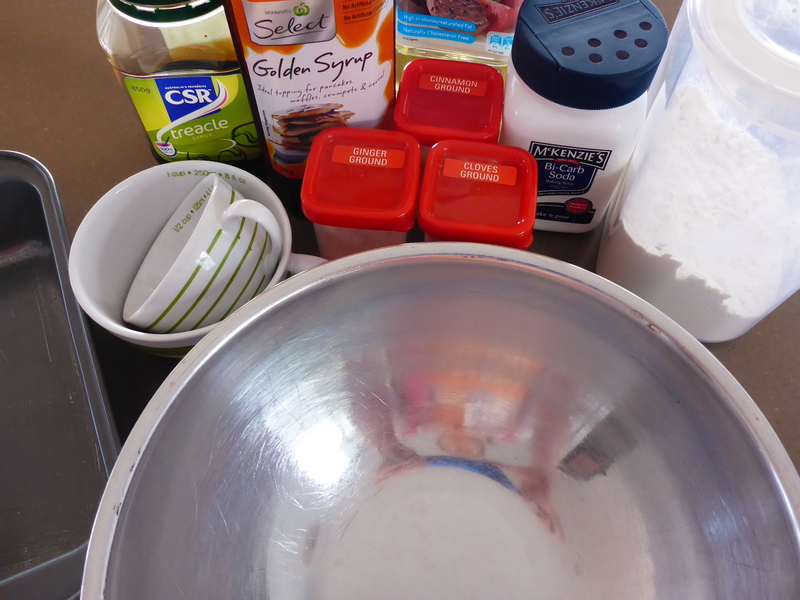 In a medium size bowl add all the dry ingredients and mix through to combine. Then add all the wet ingredients and using a hand mixer on medium speed (start on a low speed and work your way up so the flour doesn’t go everywhere) beat until smooth and thick (making sure there are no lumps in the mixture). Smooth, silky, rich and thick! That’s what you’re looking for in this batter. Scrap down the sides of the bowl with a spatula stirring in any unmixed batter. 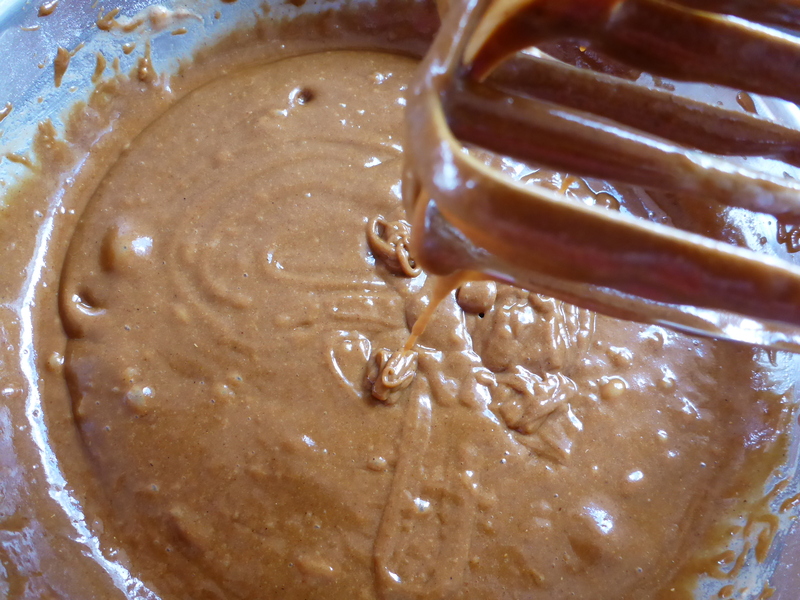 Pour into the cake pan, smoothing out the batter and leaving a small indent in the middle (this helps to cook the cake and rise more evenly). Batter in, ready for baking. Cook in the pre-heated oven for 40 minutes. The cake is baked when it has risen and a skewer inserted in the middle comes out clean. Always check the cake after 35 minutes as all ovens cook differently. If after 40 minutes it hasn’t quite cooked through leave it in the oven for a few more minutes and check again. Remove from the oven and leave to cool before moving to a cake rack to complete the cooling process. Serve with cream, ice cream, custard or a buttercream icing. I use some self-raising flour to give the cake a bit of lift as it can be a heavy cake otherwise. When measuring out the wet ingredients measure the oil first then the treacle and golden syrup as the oil lubricates the measuring cup making it easier for the sticky ingredients to pour out. 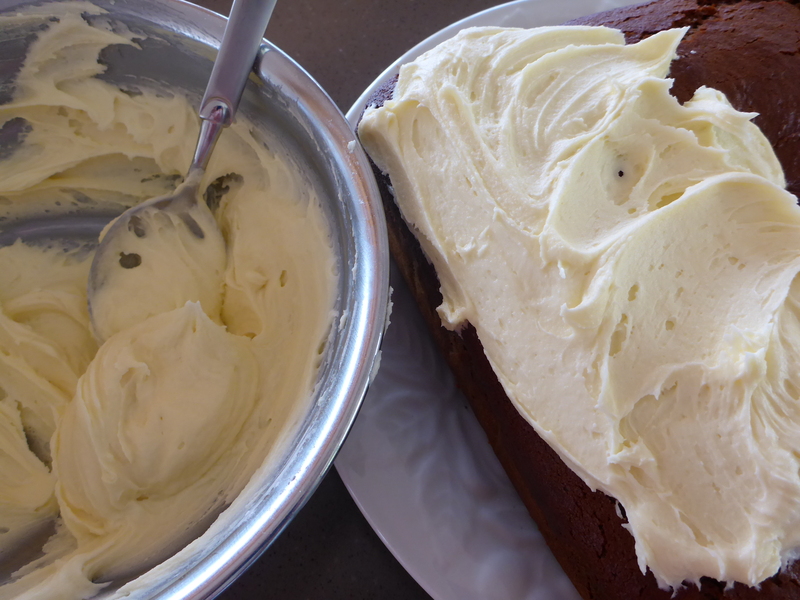 To make this cake even easier you can mix it directly in the pan you cook it in but I find mixing in a bowl with a hand mixer gives a better result as the batter is a smoother texture. Also if you mix in a bowl you can then line the pan with baking paper which makes it easier to remove once cooked. Once cooked and cooled the cake may sink a little bit in the centre. Don’t worry too much about this as it doesn’t affect the flavour. If it has sunk too much though it will be a bit too moist in the middle. Looking yummy, cracks and all! The cake top also cracks a little but I love this bit and have been known to pick these yummy crunchy bits off before anyone else gets the chance. It is kind of like little bits of gingerbread biscuits (cookies). 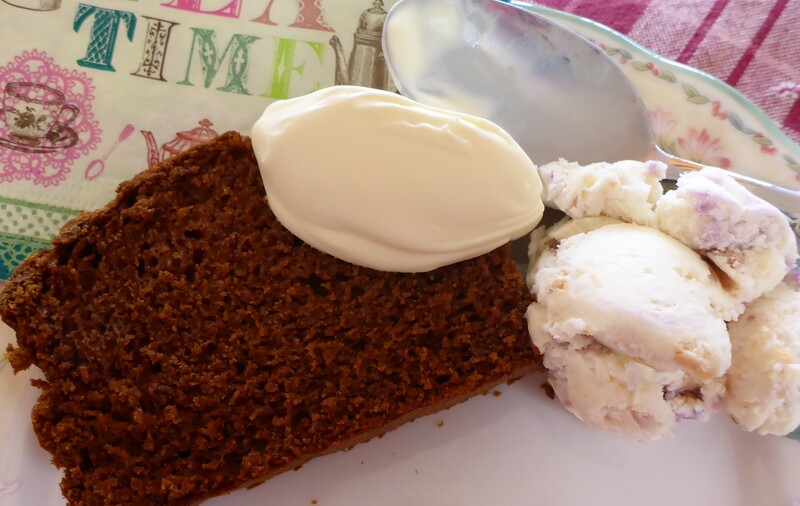 This entry was posted in Home, Recipes, Sweet and tagged Afternoon Tea, Cake, Christmas, Dessert, Easy, Food, Gingerbread, golden syrup, One Bowl, Treacle. Bookmark the permalink.